This impressionistic painting was inspired after visiting the Custer State Park in the Black Hills of South Dakota. You get the chance to enter the park and drive through herds of the beautiful, majestic creatures. 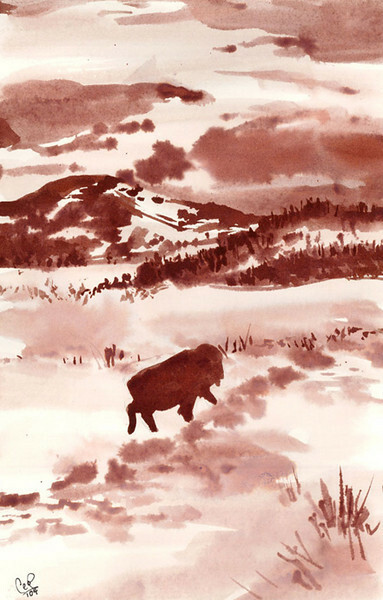 Along the way, there was one lone buffalo that kept to itself on the other side of the terrain. It just made you stop and wonder why. The original sold at a gallery show.